Often referred to as "grey" in France, this berry is very similar to the traditional black peppercorn or "poivre noir" that is common throughout the world. Known as "poivre gris" by the French to denote it as a grey peppercorn, the color is medium brown to brownish black and may be slightly lighter in color than the typical black peppercorn produced in many other countries. Harvested from berries grown in clusters on the vine-like pepper plant, the Grey Peppercorn is round in shape like other varieties and when dried the berry becomes bumpy and irregular in texture. 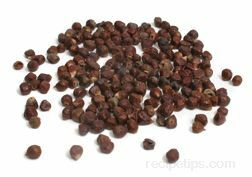 The Grey Peppercorn can be used to flavor meats, poultry, fish, seafood, vegetables, soups, stews, sauces, marinades, dressings, baked goods, and a variety of other foods. 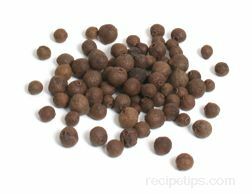 Similar to other black peppercorns, the Grey Peppercorn can be stored for up to a year if kept in a cool, dark place. Once the peppercorns are ground, they will keep their flavor for about four months. 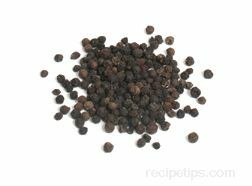 The flavor and aroma of peppercorns will not last long after being ground, so it is best to keep peppercorns whole and season foods by grinding the peppercorns with a peppermill as late in the preparation process as possible.